Click on BOOK TITLE to see them! Beasts of Burden: Hunters and Gatherers (one-shot) <--- Evan Dorkin & Jill Thompson return!! 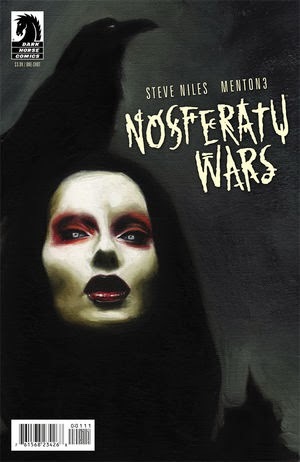 Nosferatu Wars (one-shot) <--- Steve Niles & Menton3! X #11 <--- So brutal! Duane Swiercznski! Ghost #2 <--- Chaos reigns in the White City! Abe Sapien #11 <--- Abe Sapien continues! Scott Allie! Star Wars #15 <--- Brian Wood is killing it until the very end! The Star Wars #6 <--- Only 2 more issues until the finale! 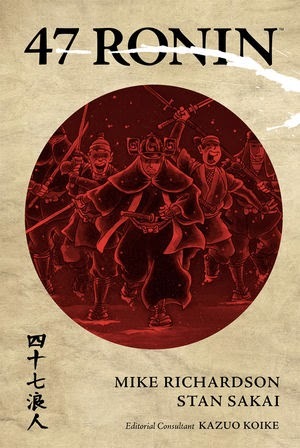 47 Ronin HC <--- On sale date moved. If you missed the issues in 2013 - now you can read it complete! Captain Midnight Archives Volume 2: Captain Midnight Saves the World TPB <--- Lovely archival edition of Cap'n Midnight! Dream Thief TPB <--- Critically acclaimed! Jai Nitz! Drifters Volume 3 TPB <--- Get your Manga on! Intron Depot Volume 5: Battalion TPB <--- Moved a couple weeks, now on sale! Ha! Yavin was the original Wookie planet. That whole comic series looks excellent Jeremy.